This is for information of all the students that ASA University Debate Club (ASAUDC) is going to organize a programme (Final round of Inter department Debate Competition) at 3:00 PM - 5:00 PM on Tuesday, 11th August 2015 in the Conference Room (9th floor) of ASA University Bangladesh. Honorable Vice-Chancellor of ASA University Bangladesh will attend the programme as a chief guest. All the students are requested to attend the programme on time. 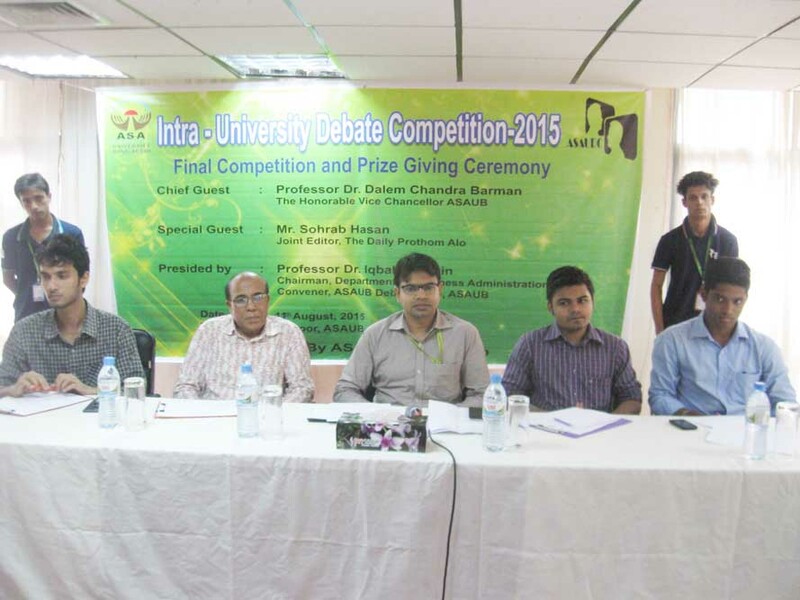 Final round of the Intra-University debating competition of ASA University Bangladesh (ASAUB) was held at university premises on 11 August 2015. Debate Club of ASAUB organized this weeklong competition. All the departments of ASAUB were participated in the rigorous battle using logic and strategic argument. Dept. of Law clinched the Champion title and Dept. of Applied Sociology wins the Runner-up. Deputy Registrar of ASA University Bangladesh Mr. Mohammad Masudur Rahman moderated the program. 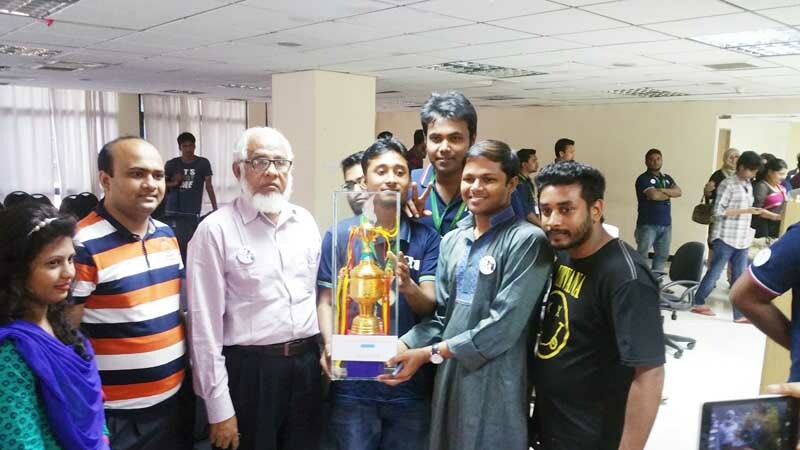 Mr. Sohrab Hasan, Joint Editor of Daily Prothom Alo, Mr. Ziaur Rahman Chowdhury, Coordinator, Prothom Alo Debate Team, Mr. Iqbal Hasan, Former General Secretary, Dhaka University Debating Society(DUDS) and Mr. Ahmed Reza, Staff Reporter, Jamuna TV were present as the members of the Jury Board of the final competition. Prof. Dr. Dalem Ch. 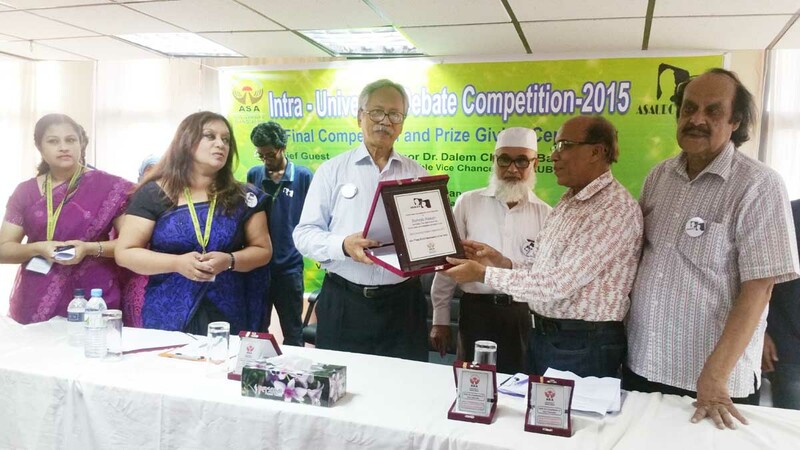 Barman, Vice Chancellor of ASAUB distributed prizes among the winners as the Chief Guest of the program. Prof. Md. Muinuddin Khan, Adviser of ASAUB and Mr. Md. Khalequzzaman, Registrar of ASAUB delivered their welcome speech to the debaters. 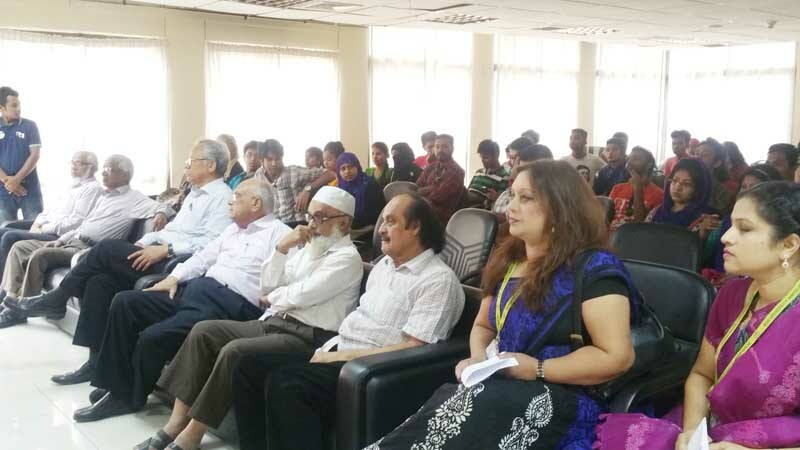 Prof. Dr. Iqbal Hossain, Convener of ASAUB Debate Club delivered the vote of thanks in the program. 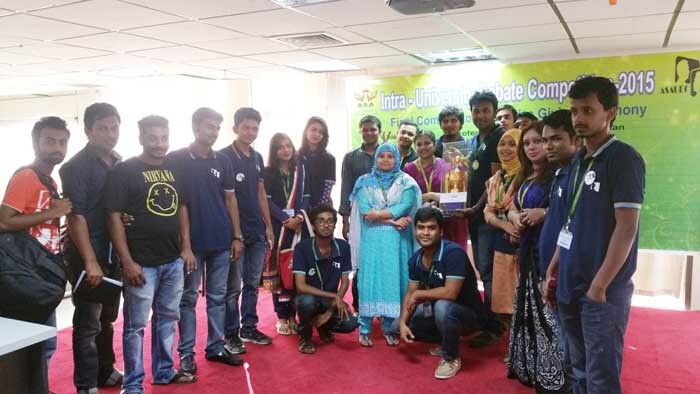 Dean and Chairmen from different faculties and departments, students and teachers from different departments, officials of ASAUB were present in the final round ASAUB Intra University debate competition.